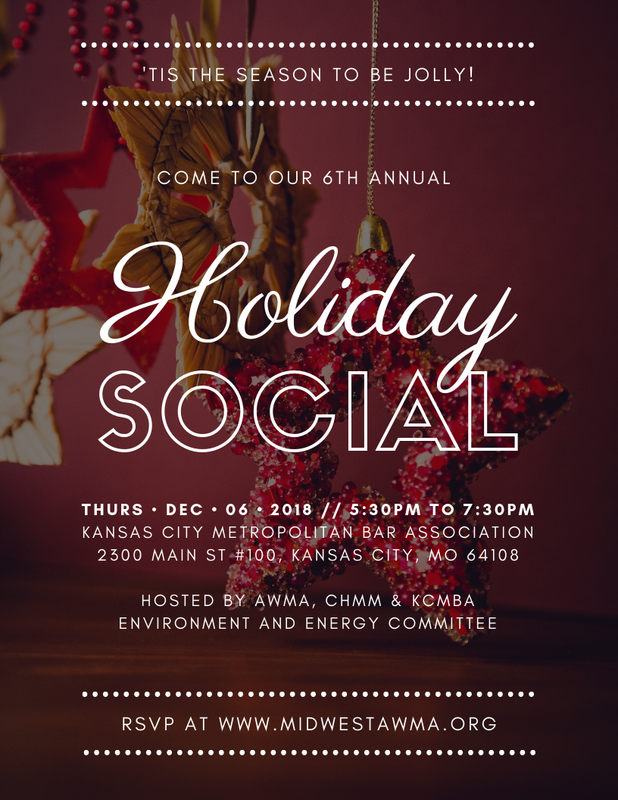 The Midwest Section of AWMA, the Heartland Chapter of the Certified Hazardous Material Managers (CHMM) and the Kansas City Missouri Bar Association (KCMBA) Environment and Energy Committee co-host this annual holiday social. Join us on December 6, 2018 from 5:30-7:30pm at KCMBA, 2300 Main St #100, Kansas City, MO for food, beverages and socializing! The Midwest Section of A&WMA serves environmental professionals in Nebraska, Iowa, Kansas, and Missouri covering topics such as air quality, water quality, waste, and field sampling. Join us and attend our social events held throughout the year.